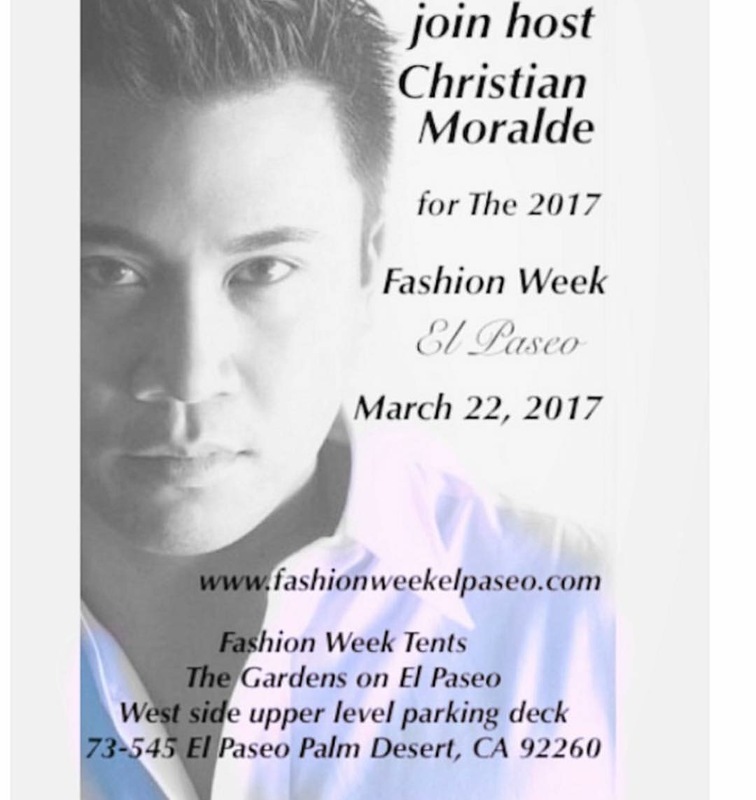 Fashion Week El Paseo is happy to announce, host Christian Moralde as a contributing voice for Fashion Week 2017 located in Palm Desert. The premier fashion event offers a platform for both renowned and emerging designers to showcase their work while connecting with audiences through one of the most individualistic and expressive art forms: style. Held at the Fashion Week Tents at The Gardens on El Paseo, Christian is looking forward to introducing the talented line-up for the March 22nd show!